You have heard a lot about ‘health care inflation’ over the past 40 years or so. You would think that much of the ‘inflated’ cost of health care would have to do with paying a massive skyrocketing number of highly-skilled physicians, surgeons and specialists, right? After all, these doctors are THE most important part of any medical procedure when it comes to figuring out what is wrong with your body, isn’t it? 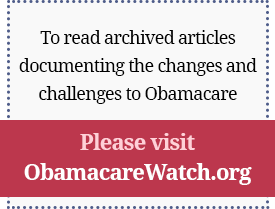 Next Article: How Much Is The Obamacare Mandate Going To Cost You?